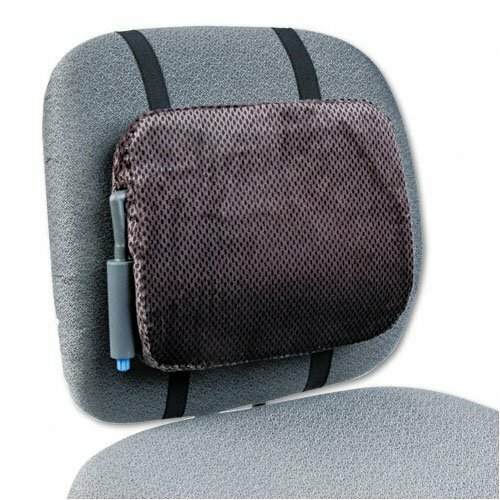 Backrest with pushbutton air pump to adjust cushion curvature. ;Push-button air pump adjusts cushion to exact curvature desired. ;Fabric cover.